Last week, we recapped the 13 players who were in the top 40 in the SoxProspects.com rankings at some point this season, but no longer are. Today, we start our recap of the seasons of the players ranked in the site's end-of-season rankings. Note that because we set the schedule for this feature several weeks ago, we are going to move forward with using the season-end rankings, despite the recent trade of Manuel Margot, Javier Guerra, Logan Allen, and Carlos Asuaje to San Diego. Season in Review: Shepherd was one of the sensations of the Cape Cod League back in 2013, generating buzz as a potential top-100 pick the following spring. Unfortunately, a laceration on his pitching hand forced him into the Kentucky bullpen, and the right-hander ended up falling all the way to the 13th round of the 2014 draft. 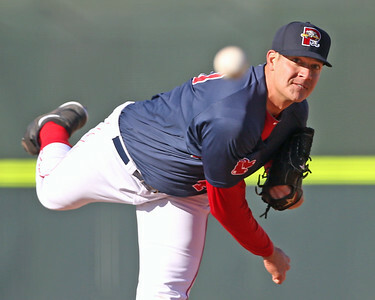 The Red Sox gave Shepherd a slightly conservative placement out of spring training this year, assigning him to Low A Greenville. 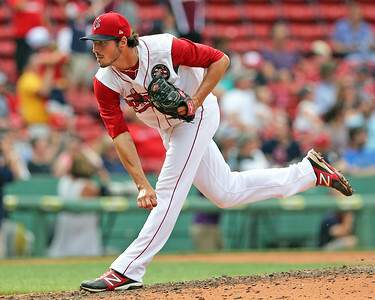 The 6-foot-2 righty faced little resistance at that level, striking out 16 of the 64 batters he faced (25 percent) in seven outings and earning an early promotion to Salem on May 14.